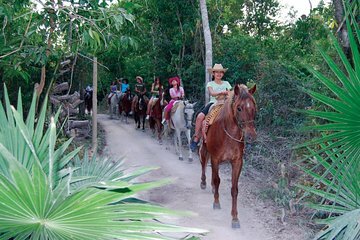 Kanal din indre vaquero eller mexicansk cowboy på en ridetur i nærheden af ​​Cancun. Traverse Maya jungle og nyd spektakulær havudsigt, da denne udflugt tager dig ud over byen. Din erfarne guide vil udfylde dig på Yucatas flora og fauna, da du gør det til en ideel udflugt for natur- og dyrelivslivere - og alle niveauer er velkomne. For en ægte autentisk oplevelse, don din egen cowboy hat og par støvler. Hestene er naturligvis til rådighed. IT WAS VERY NICE ,BUT IM A BIG GIRL AND I WAS SCARED. SO I GOT A GUIDED TOUR , I GAVE JOSE A 10.00 TIP HE WAS VERY PATIENT. Nina was an awesome guide! 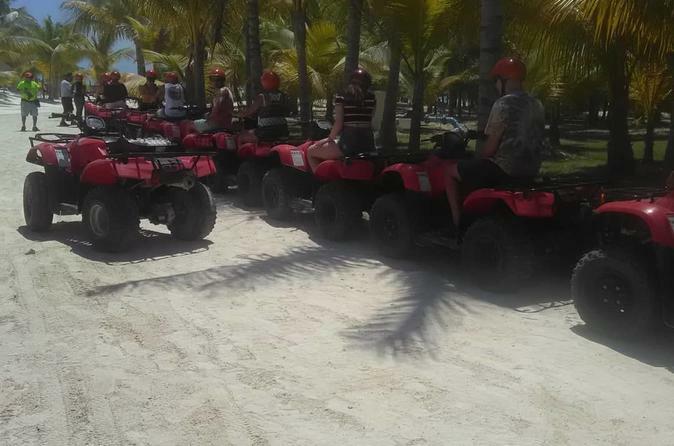 We had a fabulous time riding through the jungle and on the beach! Really enjoyed the trip , horses were good.Pace was a little slow and you no longer get to take the horses on to the beach.The advert saying this was part of the trip should be changed as we were looking forward to that part most . This is no longer allowed ! !